Elizabeth Hopper in Editor's Picks Science & Technology on 29 November, 2016. Data from NASA’s Mercury Surface, Space Environment, Geochemistry and Ranging Spacecraft (or MESSENGER) has revealed a massive canyon on the surface of Mercury. It suggests that the planet has been cooling for the last three to four billion years, which has caused the planet to contract, shrinking and sucking in the lithosphere surface. That shrinking is what caused the formation of this 250 mile wide, 600 mile long rift. The walls are steep and two miles high, which means that the chasm was caused by the planet shrinking rather than the movement of tectonic plates. 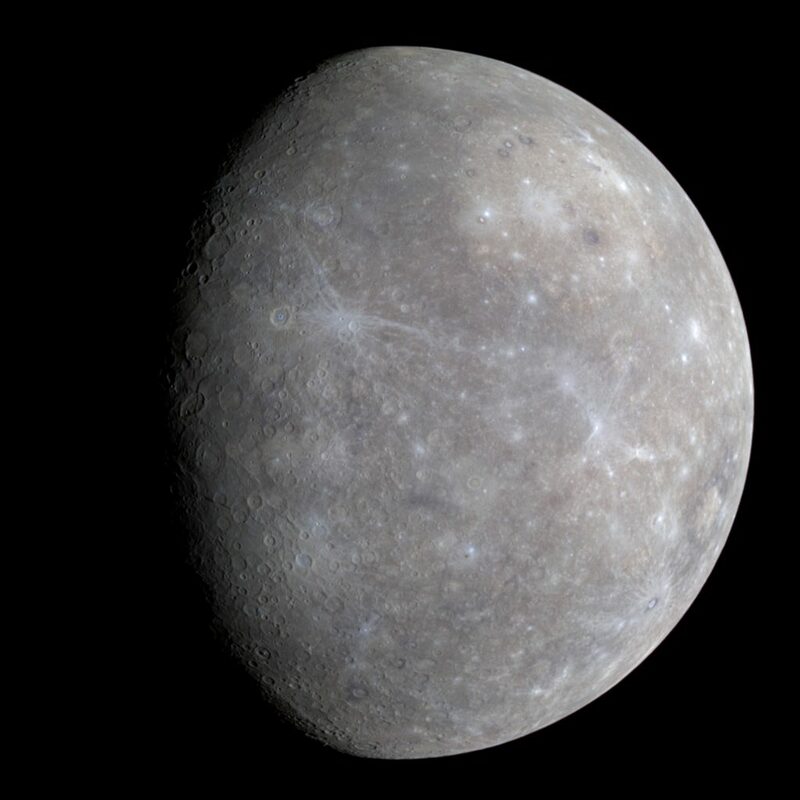 MESSENGER, which orbited Mercury from 2011 to 2015, collected many high-resolution images of the planet’s surface, which are now being analysed, so there more be more information to come. If there’s alien life out there, Jupiter’s moon Europa might be the best place to find it. 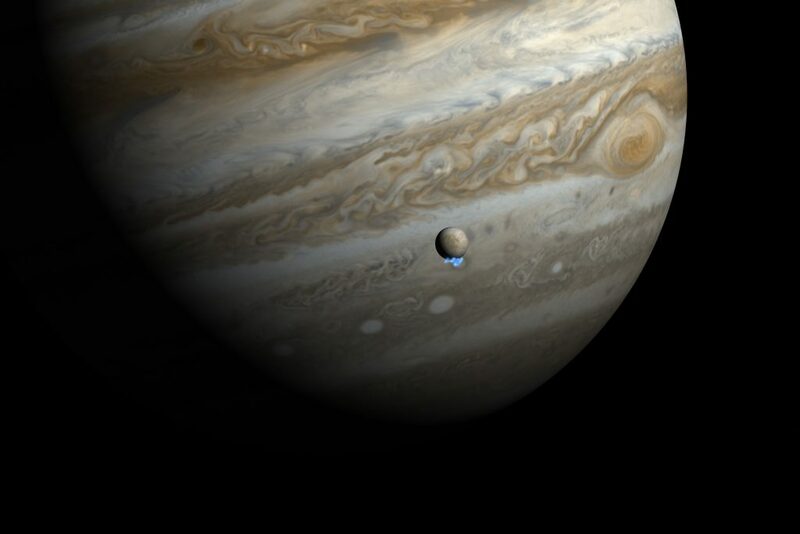 It is commonly believed that water is a necessity for life, and Europa looks like it might have plenty. In observations made by the Hubble telescope, scientists have noticed jets of water being shot from the moon into space – an entire Olympic swimming pool worth of water every eight minutes. The water travels several hundred kilometres before falling back to the moon’s surface. The readings were taken as Europa passed in front of Jupiter, by taking UV measurements to see if the planet’s light was absorbed by the material they saw leaving the surface. Scientists believe that the moon has an ocean below its surface, which might possibly support microbial life. Speaking of sub-surface oceans, it looks like Pluto might have one too. Over a year after the New Horizon spacecraft flew past the dwarf planet, discoveries are being made from the data it collected. 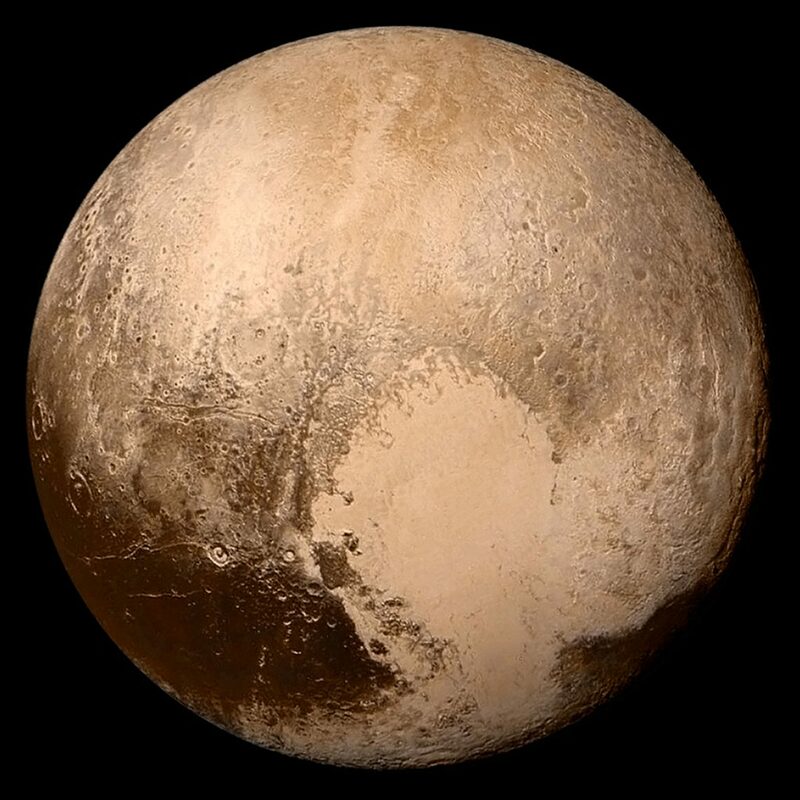 Pluto’s loveable heart shaped area, the ‘Tombaugh Regio’ contains a large basin, called Sputnik Planita, which may hold the key to Pluto’s secrets. The basin is 1000 km wide and three kilometres deep, and was probably produced by a meteor impact. It has since filled up, with nitrogen and methane ice, and traces of carbon monoxide ice. The change in Pluto’s mass distribution, or moment of inertia, caused Pluto to reorient itself to find a new equilibrium position, with the basin at its equator, and causes Pluto’s poles to wander by about 20 degrees. For the basin to have had this much of an effect, though, the nitrogen ice layer would have to be 40 km thick, which seems unlikely. Scientists think that instead, there is probably a sub-surface ocean mainly made up of ammonia hidden under Pluto’s crust. Margaret Hamilton has been awarded a Presidential Medal of Freedom for her work on the NASA Apollo missions. She was the lead software developer, at a time when programming was so new it didn’t even have a name, and all code had to be written by hand. Her code proved pivotal for the moon landing in 1969 – as the lunar lander approached the moon’s surface, several alarms were triggered, and, thanks to Hamilton’s adaption to the code, the team could manually see that the alert was not critical and overrule the computer’s response. 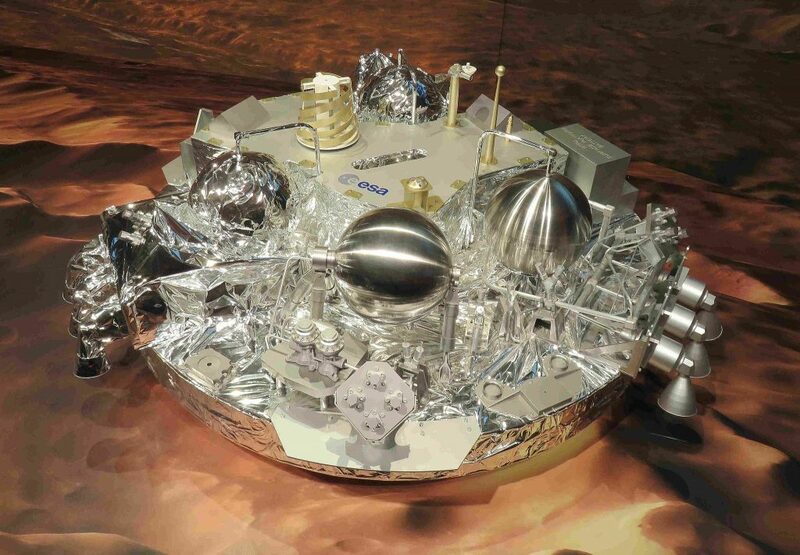 On the 19th October, the European Space Agency’s Schiaparelli probe crashed on Mars’ surface. It was part of a mission to find evidence of past or present life on the planet. The team say that the crash was due to the probe misinterpreting senor data, so that it thought it was below ground level, when in reality it was about 3.7 km above the surface. It jettisoned its parachute too early, and only fired landing rockets for three seconds, crashing into the surface at 2.2 mph. The probe was a trial mission, to give the team experience of landing on Mars in preparation for their planned six-wheeled rover in 2021. They say that it was reassuring that many of its key systems, such as the parachute and heatshield, worked.